India’s current account deficit (CAD) could overshoot the Centre’s own estimates by 10-20 basis points as a percentage of gross domestic product (GDP), due to high crude oil prices and the rupee reaching its historical low against the dollar, a top government official said on Tuesday. Additionally, the government is not ruling out re-introducing a swap window for FCNR (B), similar to the one used during 2013 to deal with the fall in rupee, the official said. FCNR refers to Foreign Currency Non-Repatriable account deposits. “There will be some stress on the CAD. We have built adequate reserve over a period of time. We are in a comfortable position in terms of forex reserves. Oil prices are not showing significant fluctuations after rising earlier this year,” said the official. “The CAD will not be as good as last year, but will also not be as bad as is being reported by certain agencies. "The deviation will be in the range of 10-20 basis points,” the person added. However, the official did not disclose the CAD estimates for 2018-19. Research and ratings agencies like Icra and Moody’s have said the CAD in 2018-19 would be much higher than 2017-18, which was 1.9 per cent of the GDP. 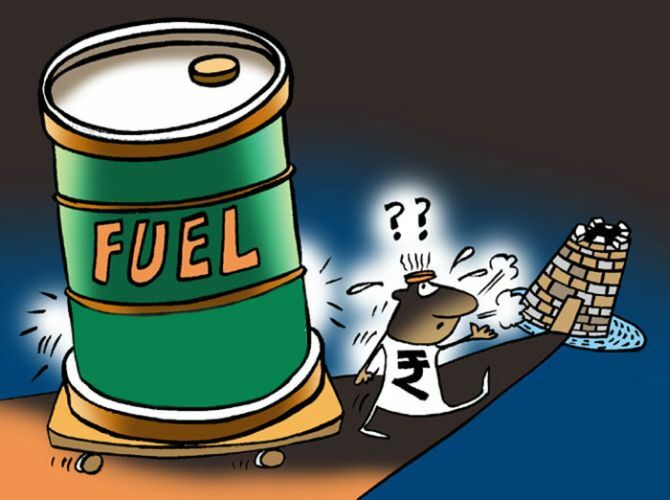 Moody’s said on Monday that India’s current CAD will widen to 2.5 per cent of the GDP in the current fiscal, due to higher oil prices that has been accentuated by the rupee’s depreciation. On the same day, Icra said that CAD is set to widen and the first quarter print may come in at $16-17 billion or 2.5 per cent of GDP, adding for the full year the gap may scale a six-year high of $67-72 billion. For the January-March quarter, CAD stood at 1.9 per cent of GDP. The rupee last week dropped to a record low of 70.32 a dollar, as political turmoil in Turkey and concerns about China’s economic health continued to support safe-haven assets and weighed on emerging market currencies. Meanwhile earlier this year, crude oil prices also shot up, hitting $80 a barrel for the first time since late-2014, on concerns that Iranian exports could fall because of renewed US sanctions, reducing supply in an already tightening market. This came at a time when the Centre’s assumption for the current fiscal was an average of $65 a barrel for the Indian crude basket. The government official termed the Reserve Bank of India’s (RBI) decision to raise FCNR (B) funds to stabilise the rupee as a “good move”, but did not elaborate whether a similar action is being contemplated or not. “In 2013, the RBI had borrowed massively through the FCNR (B) window. "Around $35 billion was raised and repaid in 2016 and 2017. It was a good move. "The borrowing has been repaid. In terms of the currency, we are back to the 2014-level now, so there is effectively zero depreciation. "If we want to use the FCNR (B) route, we will have to borrow $50-60 billion,” the official said. Government sources said the Centre is “awake and aware of all possibilities”. In August 2013, the rupee had touched the then all-time low of 68.85 against the dollar. In a bid to bring in stability to the fluctuating exchange rate, the RBI had introduced a swap deal in September 2013, aimed at encouraging banks to raise money through FCNR bonds for a substantial dollar inflow. The RBI had originally expected to raise $10 billion but eventually raised over $30 billion under the scheme. The banks had swapped the dollars at a subsidised rate of 3.5 per cent with the RBI. During an event in 2016, former RBI Governor Raghuram Rajan had termed raising foreign currency through FCNR bonds as “one of the worst ideas on the table” during that time, but in hindsight it turned out to be a “brilliant idea”. The official added that the Centre will meet this year’s fiscal deficit target of 3.3 per cent of the GDP. On the revenue front, the official said that income tax collection has been robust, with the e-way and GST collections stabilising. On divestment, he said that the government will meet the target of Rs 800 billion projected for the current fiscal.